The origin of Symposia can be traced back to Ancient Greece. The literal meaning of symposium, compound word [“syn”+“pinein”], is a gathering of people who drink. In fact, a symposium, “sympossio” in Greek , was a social event for the purposes of drinking, dining and intellectual discussion among ancient Greeks. Symposia go all the way back to Greek antiquity. Fortunately, over the years, there have been numerous excavation findings which have provided us with a wealth of knowledge about them. Ancient pots, for instance, have been a great source of such information, as they most often depicted scenes from daily life and were highly decorated. Q: Was a symposium a formal type of gathering? Q: What purposes did it serve? A: It was a key social institution; a forum where people debated, plotted, boasted, or simply reveled with others. They were frequently held to celebrate the introduction of young men into aristocratic society or victories in athletic and poetic contests. Q:Why was it so popular? A: Because it was the most important means of socializing at the time, held within every social class. 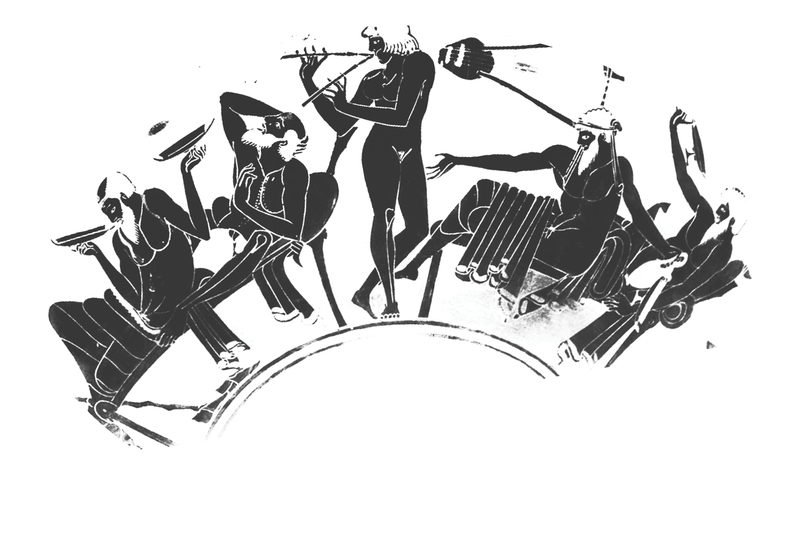 In fact, it was considered one of ancient Greeks’ most favorite pastimes. Q: What where the basic types of symposia held? A: There were two main types: individual symposia held for friends and family (much like today’s dinner invitations) and symposia held by groups (similarly to modern day private members’ clubs). Q:Apart from dining, drinking and discussing, what else did they involve? A: They involved entertainment, which was a key part of it. Usually, a symposium would include music, dancing and acrobats performing. Q:Did participants also engage in other activities? A: Yes, they would often play board games or the flute. Q: Is it true that women were not allowed to participate? A: Women were strictly forbidden to participate, with the exception of dancers and courtesans. Q: Which was the most famous symposium of all? A: The one hosted by the poet Agathon on the occasion of his first victory at the theater contest of the 416 BC, in honor of the god Dionysus. Q: What was the significance of symposia in the route of history? A: Symposia, this popular common practice, gave rise to an actual philosophical trend and important literary works, such as Plato’s Symposium, Xenophon’s Symposium and Plutarch’s Banquet of the Seven Wise Men.